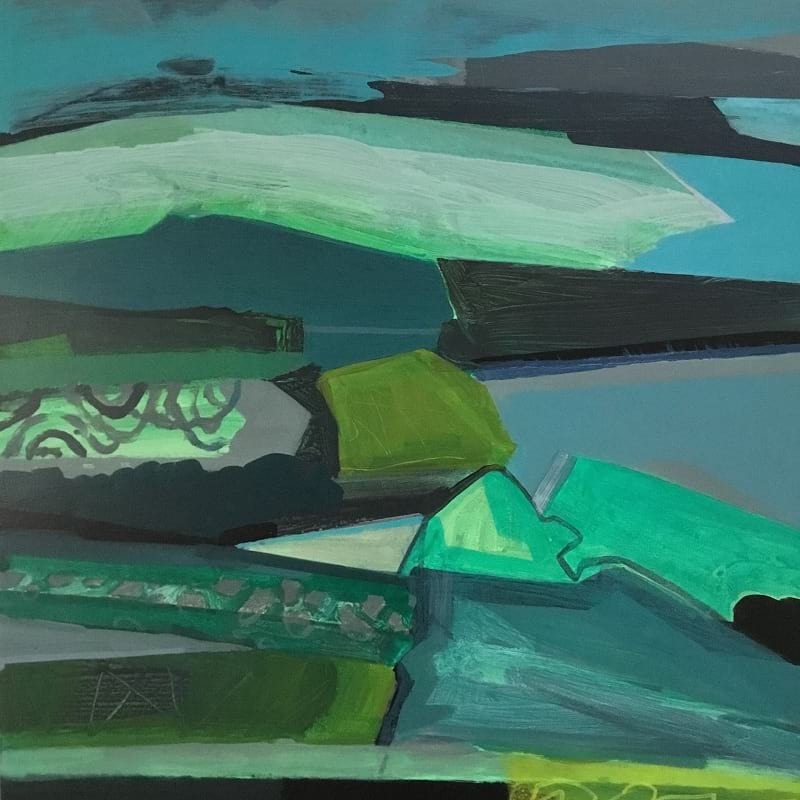 Malcolm Ashman RWA is a painter working in oils, acrylics and pencil, with landscape and the figure as his principal subjects. As well as being an Academician of the RWA, he is a member of the Royal Society of British Artists and the Bath Society of Artists . 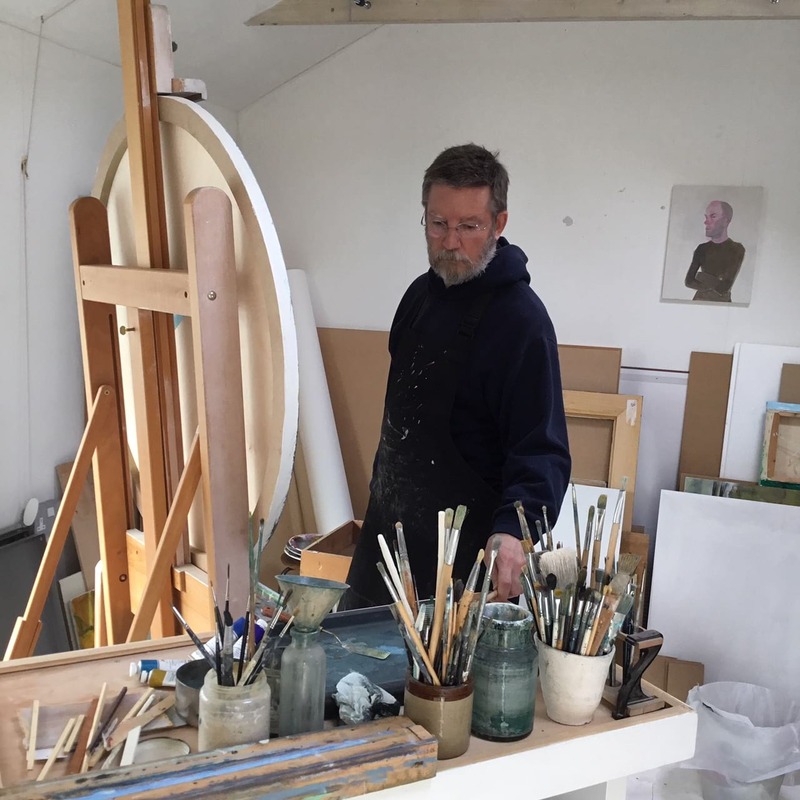 He has exhibited regularly at the RWA – including the Open and the 2018 ‘Togetherness’ exhibition – and across the country, including at the Royal Academy Summer Exhibition, the Royal Watercolour Society, Bankside Gallery, London and the Derwent Drawing Prize. He is a selector for the 2019 Friends’ Open Exhibition. I was 4. I was drawing and getting cross with it. I remember thinking I must get this right. I’m still trying to get it right. What is your usual process for making an artwork? How important is the process -and does it differ greatly across the different media you work in (pencil, oils, acrylics etc) or the different genres (landscape and portrait)? I’ve always been fascinated with and led by the physical process and have tried most methods of working over the years. I don’t rule anything out. I can plan meticulously or I can catch myself out and work spontaneously. Everything starts with drawing. There’s lots of trial and error and learning from mistakes. Daily highs and lows. Sometimes I want to ‘shout’; sometimes I want to ‘whisper’. Working with different materials gives me this freedom and opens the way for further possibilities. Whatever I make, landscape or portrait, it’s saying something about me. Ultimately the artist is the subject. Everyone and everything I’ve ever seen, they’re all in my head making connections. I’m discovering new artists all the time, dead and alive. The internet is a wonderful tool for an inquisitive mind. Leaving art college early was a big step for me. I hadn’t enjoyed my time there and the prospect of making my own way was both daunting and liberating. I had to make a living but didn’t want to teach so I accepted what was offered. An early commission from publishers Gollancz was for the first edition cover of Angela Carter’s ‘The Bloody Chamber’, exhibited at the RWA in 2016/17. Around the same time I met lots of artists in Bath and Bristol, learnt much from them and began to appreciate that anything was possible. I worked from life or en plein air for some years, drawings and watercolours, learning to look. One day a friend gave me a huge box of half used oil paint tubes. I began painting landscapes in the studio from memory or using small sketch book notes. This changed my whole way of working with the landscape. I’m doing the same thing with the figure now. In 2103 I met Norwegian artist Inger Karthum and we’ve since collaborated on several projects which have been exhibited both in the UK and Norway including the ‘Togetherness’ exhibition at the RWA last year. Having worked autonomously for many years it’s been exciting to work with someone I trust and it’s definitely influenced my individual practice too. You’ve said that ‘The driving force behind [your art] is one of problem solving, that overwhelming desire to apply order and make some kind of sense of it all.’ Do you think you’re getting any closer to making sense of it all? What does being an Academician of the RWA mean to you? I first exhibited at the RWA in 1983, a tiny watercolour, I was ecstatic. This continued for some years, selected or not selected, and my enthusiasm dwindled. Many artists know this feeling. So I gave up for a long time. About 10 years ago I started working more with the figure and decided to submit something to the open again. The RWA was a very different place from what I’d remembered. There was feeling of optimism and inclusivity which encouraged me to apply to be an Academician. I was successful and it only took me 32 years. The RWA is a tremendous focus for creativity, discussion and learning. I’ve met and continue to meet enthusiastic like minded people among the Academicians, Artist Network Members, Volunteers and Friends and I couldn’t be happier. When I was 15 I visited the National Portrait Gallery in London where I fell in love with the portrait of Catherine Parr attributed to William Scrots, now on display at Montecute House. It’s a magnificent piece of costume painting of course, which, hungry for detail, I devoured but contained within this opulent carapace is a most enigmatic portrait. She is vulnerable, defiant, thoughtful, stubborn, scheming, unhappy and optimistic. This may not be true but it’s the truth I see. Actually I think I’ll leave the painting where it is for everyone to enjoy but I’ll take that wand. You can see more examples of Malcolm’s work on his website. Previous ‘MathildaMathilda’ the Theatrical Show, crowdfunding and choir recruiting! What an inspirational and revealing interview. And what finely chosen examples of the artist’s work.